Welcome to St. Thomas More! At St. Thomas More all are welcome, and we are glad that you have chosen to worship Christ with us! If you are interested in becoming a member of St. Thomas More, you can fill out the New Member Sign-Up by clicking on the "Become a Parishioner" link below, or by picking up a New Member Sign-Up in the Social Hall after Mass. If you are interested in becoming Catholic, St. Thomas More also has R.C.I.A. classes (Rite of Christian Initiation for Adults) where prospective adults will learn about our great Catholic faith, and eventually receive full communion with the Catholic Church. Click on the "Become Catholic" link below. If you are looking for more ways to get involved in our community, please check out our ﻿﻿Ministries﻿﻿ page and our Worship page. Stay in touch by joining our email and/or mobile messaging list. Click on the "Join Email List" below. Help us grow. Click our "Stewardship" page link below. For more information please contact the office at (317) 831-4142 or email us at info@stm-church.org. 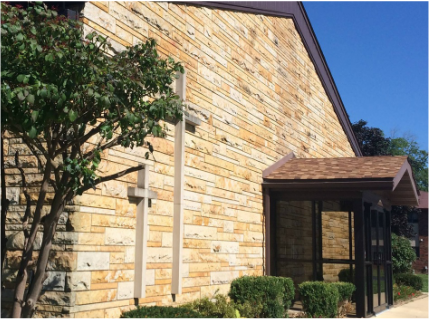 To register as a parishioner at St. Thomas More you will need to complete and submit a Parish Registration Form. This can be accomplished in a few different ways. - You can pick up a Parish Registration Form at the office, complete it, and return it, or, . - download the form to your computer, then access the downloaded document on your hard drive using a program such as Adobe, complete the document on your computer, print the completed document, and submit it to the office. Completed forms may be placed in the collection basket, emailed, mailed or faxed to the parish office. Please feel free to call our parish office at (317) 831-4142 with any additional questions. Are you searching and have found the fullness of Truth in the teachings of the Church? Are you Catholic and never completed your initiation Sacraments? Are you curious and just want to learn more? Learn more about RCIA program to enter into full communion with the Catholic church. Join our email list to stay up to date on the latest happening at St. Thomas More. Help us continue to grow our ministries at St. Thomas More by giving of your time, talent and treasure.